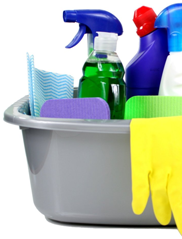 Venture into the House Cleaning industry and pile on the Money! 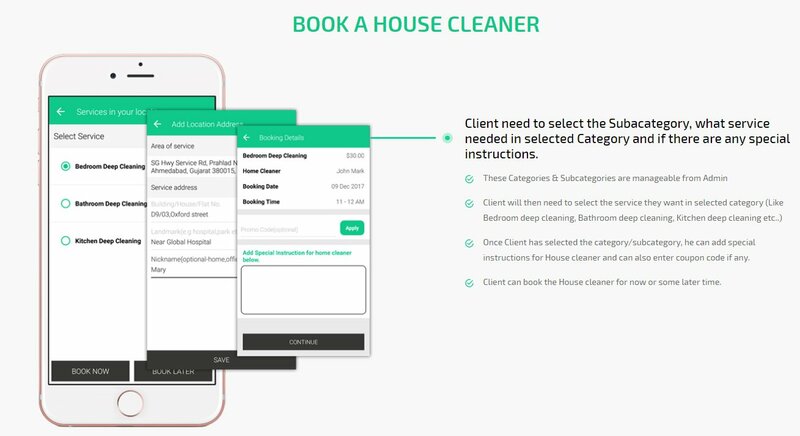 A fast effective and quick solution for all your customers who need effective house cleaning at the click of a button! The home cleaning business is booming like none other in this world. 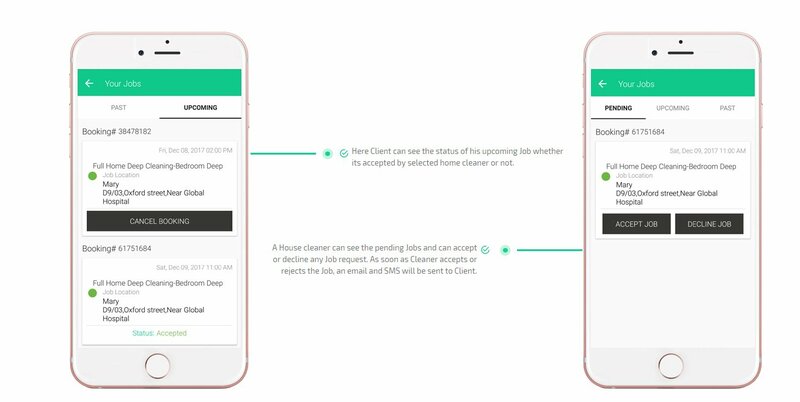 People all over the world are turning towards "Uber for House Cleaning" services and your app is all set to make the most of it for you. 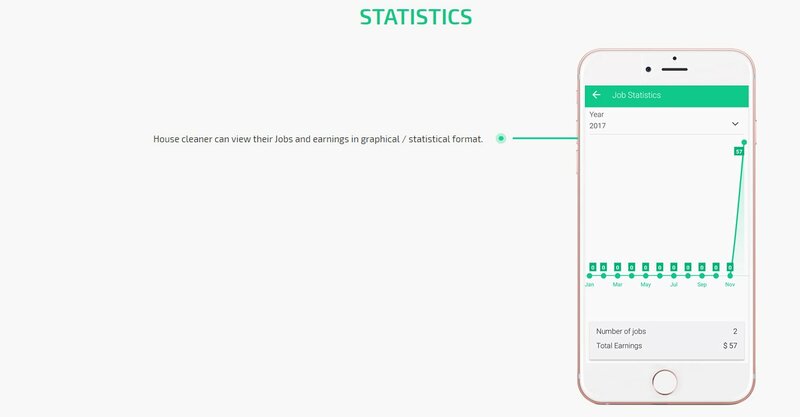 By making a onetime investment in this app you will reap benefits forever. 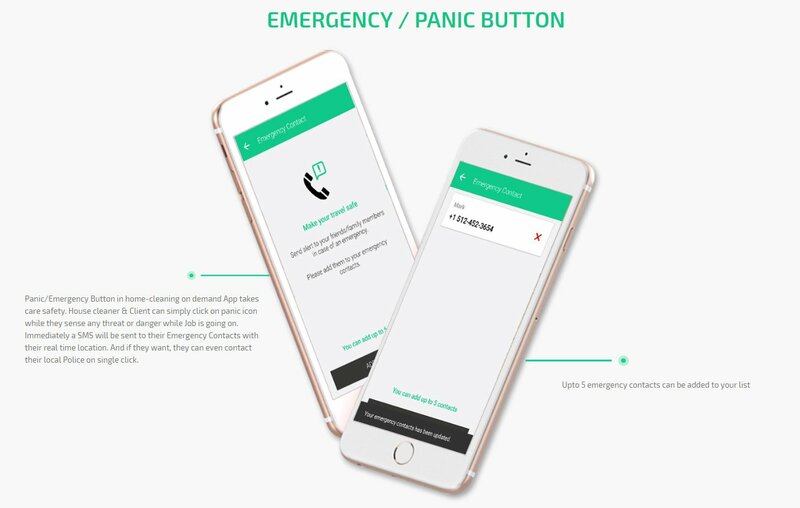 We have made this app to ensure that it can be accessed seamlessly through various platforms like the iOS as well as Android. 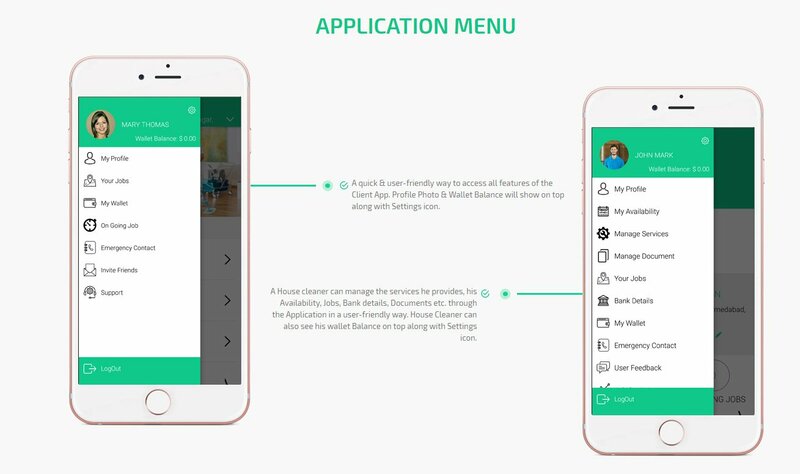 Your customers will have the freedom to use this app from any of their digital assistants like their smart phones, laptops, PCs, tablets etc. Admin Web Panel to manage the overall working of the app i.e. Home Cleaning Services, Payments, Rates, Commission, Client, etc. Let's take a quick sweep of how this app works. 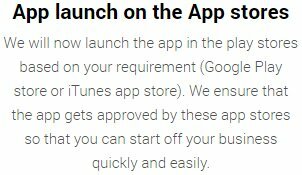 The User of the app will have to first download the app and then log in to it either through any of his or her existing social media account like Twitter, Face book, Gmail etc. or through any other email ID, or the user can also create a new profile by adding details such as name, address, phone number and credit card details to facilitate card payment in the end. After this the user can hire House Cleaning professionals whenever they wish to. 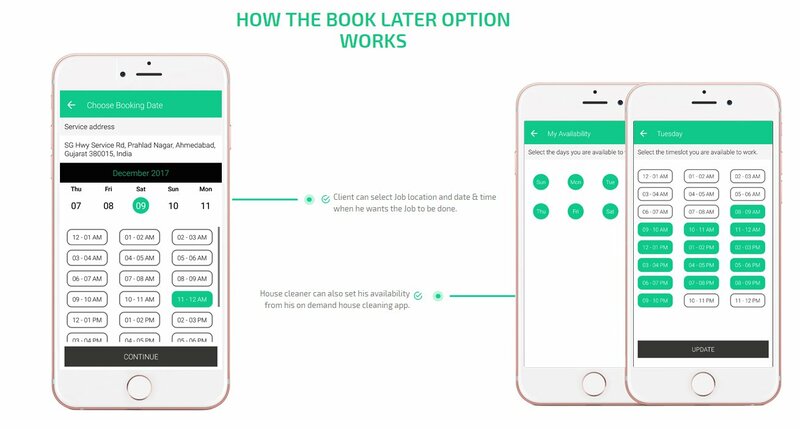 The uber for house cleaning app will need for them to first choose a category. The categories will include options such as full home cleaning, laundry, Post Party cleaning, Office Cleaning. After choosing from the main category, the User will have to choose the Sub Category. 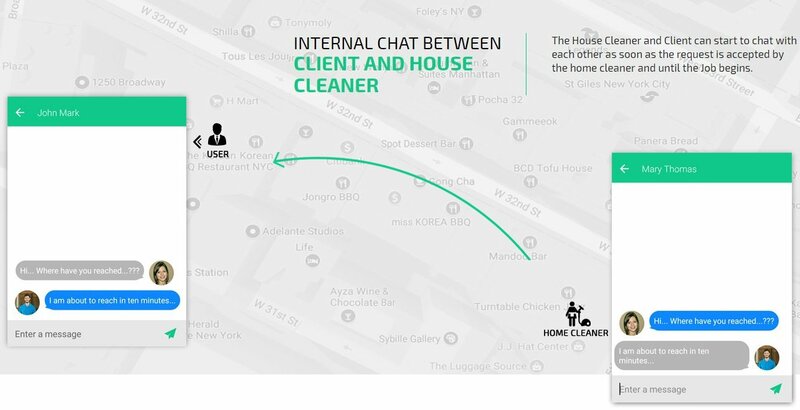 For example, after choosing the main category of Post party cleaning, the user will choose the sub category of Kitchen Deep Cleaning or Bathroom Deep cleaning. 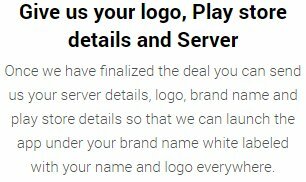 Once the services have been chosen, the User will mention if there are any special instructions. 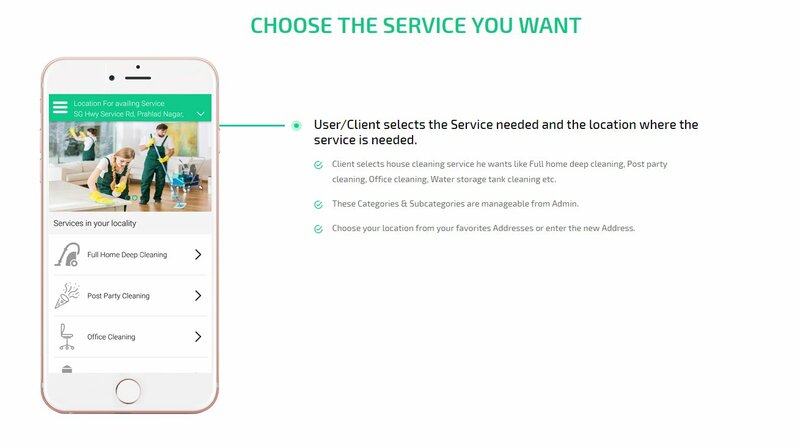 Once the User has confirmed their request, the app puts together a list of all the cleaning professionals who offer the selected service in the area needed. 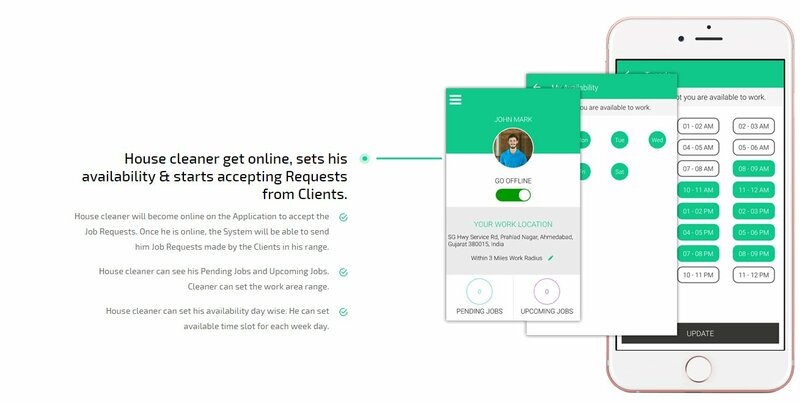 The User will be able to watch the detailed profile of whichever service provider he or she clicks on. 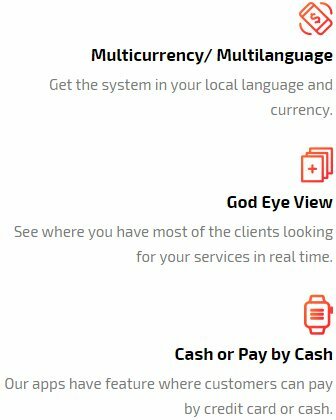 This profile will have all the necessary details about the service provider including their experience, their user rating, their reviews as well as their charges. 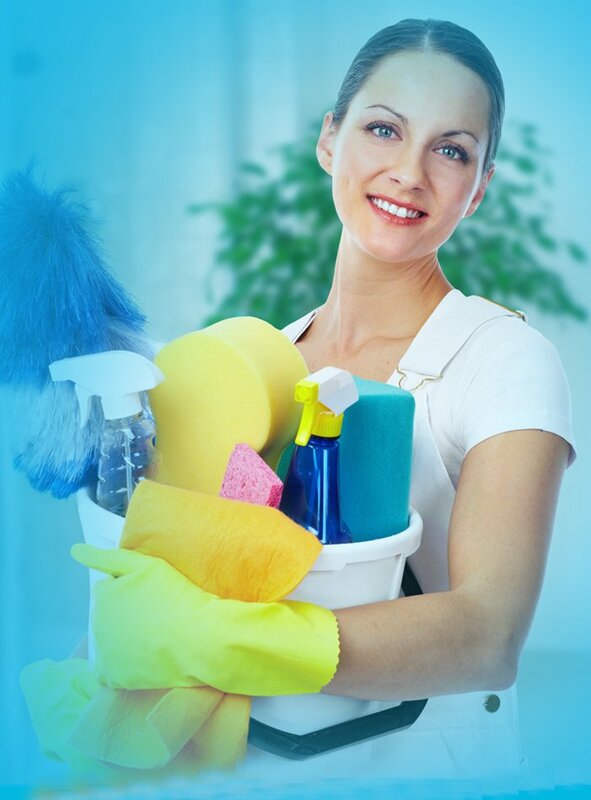 Based on this information the user can select a Cleaning Service provider. 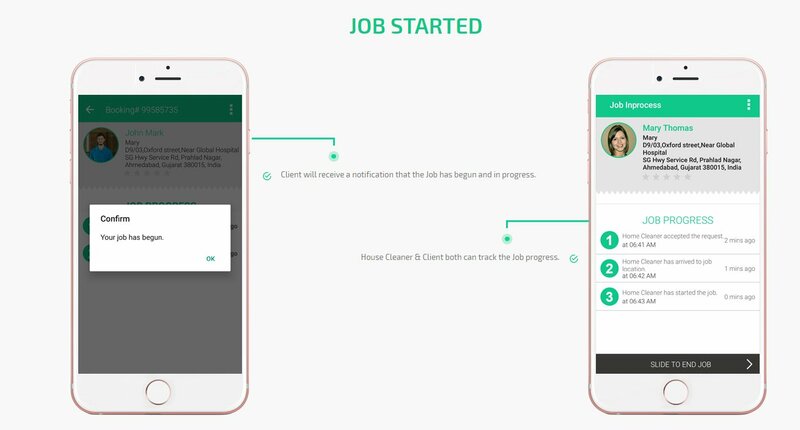 Maid service app sends a request to the cleaning professional with the job details. If the professional accepts it, then he or she gets the job. Otherwise the User is notified that the Cleaning Professional has declined. He can resend the request to another Cleaning Professional. Once the Request is accepted, the House Cleaning Professional reaches the destination of job at the predecided time. He or she then marks the app as "Arrived", and then on starting the job marks it as "STARTED". 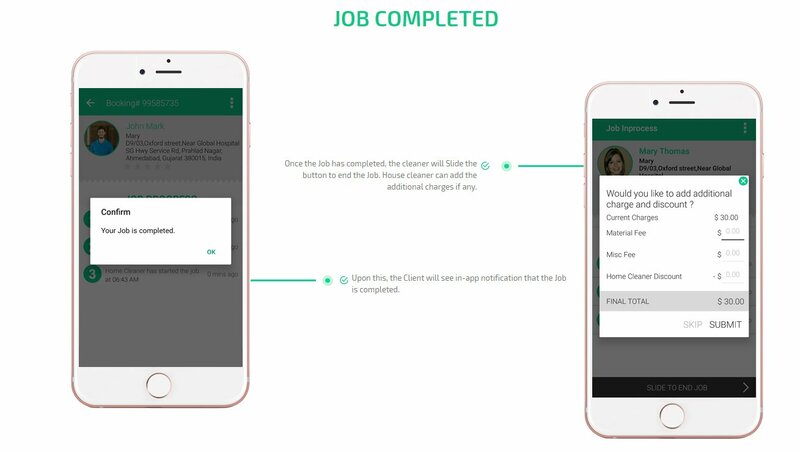 When the task is completed, the app is marked as "COMPLETED". 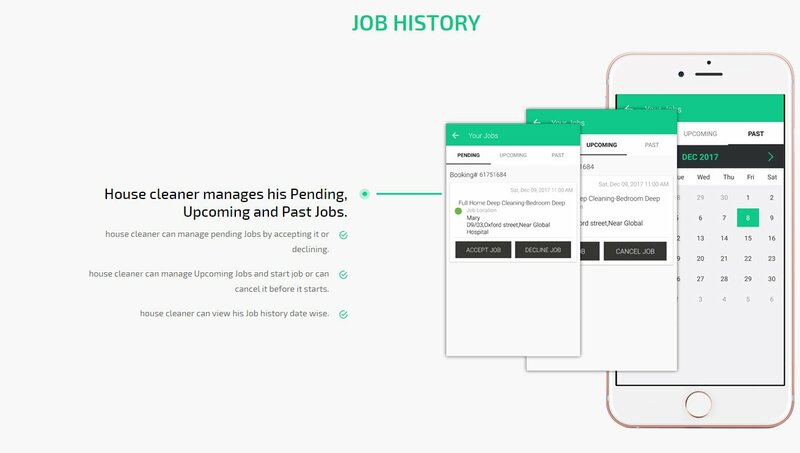 When the app is updated with the task status, an invoice is generated with all the details. A copy of the invoice is sent to both the User as well as the Cleaning Professional. Payment for the same is deducted from the selected card once the task is completed. 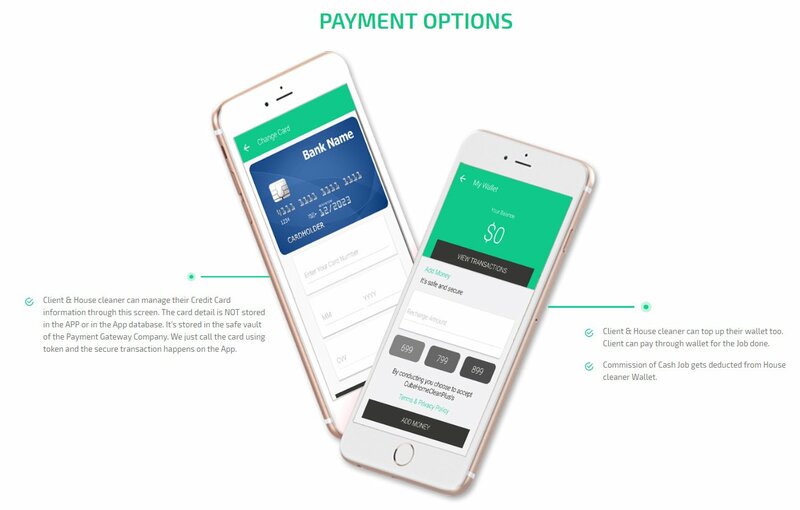 The User has the choice of paying through cash or card. The User can also use the in app wallet for payment. 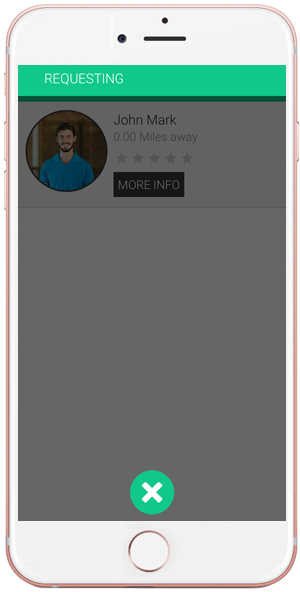 After the entire process is done, the user as well as the Cleaning professionals can rate each other and give reviews based on their experience. 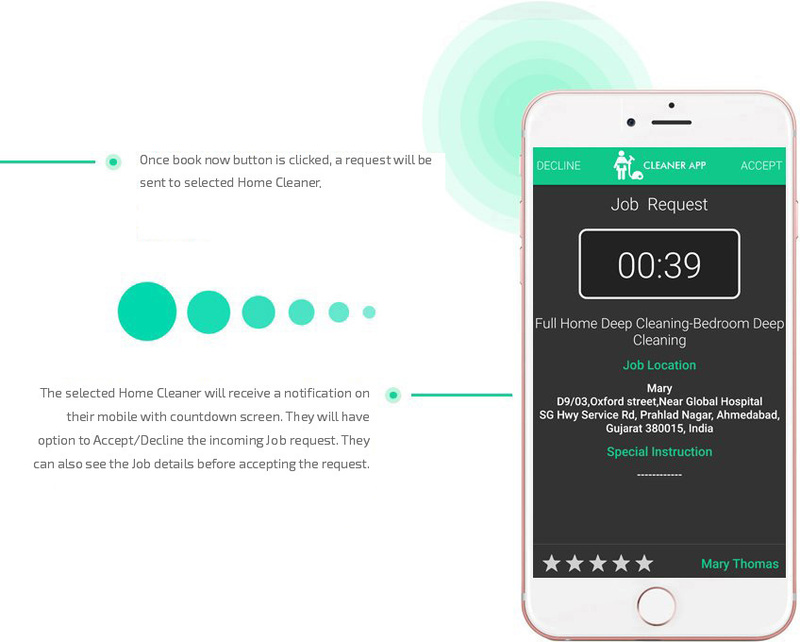 If success is your destination, then take just one step to reach there with our new Uber for House Cleaning app. 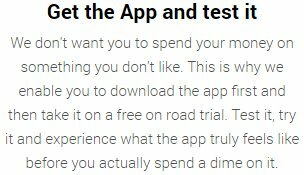 Invest in the app just once and you will continue to earn forever. Our team comes with an experience of over 10 years in the app development industry. 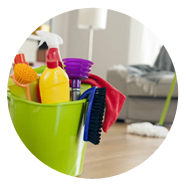 We bring to you unique solutions that cater to every kind of requirement that your House Cleaning business will have. 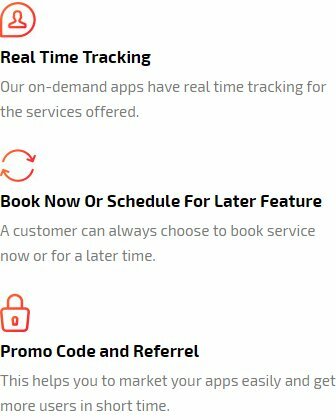 We pride ourselves in being able to offer you some of the best features for FREE. It's not just the money we are after. Your satisfaction and success is what we value the most. 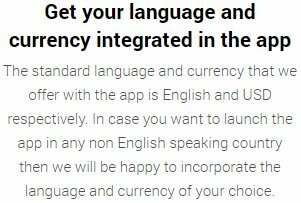 Premium features like additional language, additional currency, in app notification etc. is offered by us for FREE! We've been in the business of building apps for over a decade. We have helped businesses of varied industries establish their digital identities. 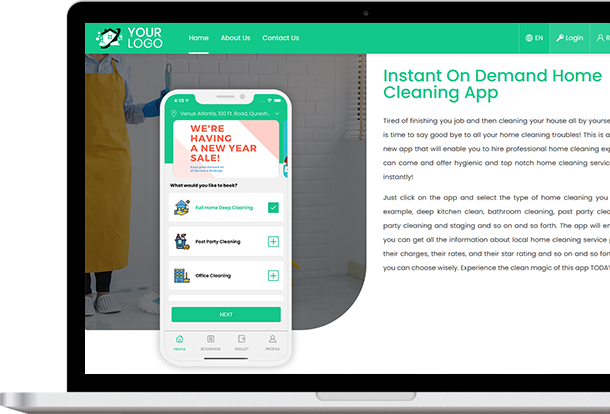 Our uber for house cleaning app clone is another unique solution meant to ensure that you succeed in your business. Our model focuses on less investment to get you higher returns. 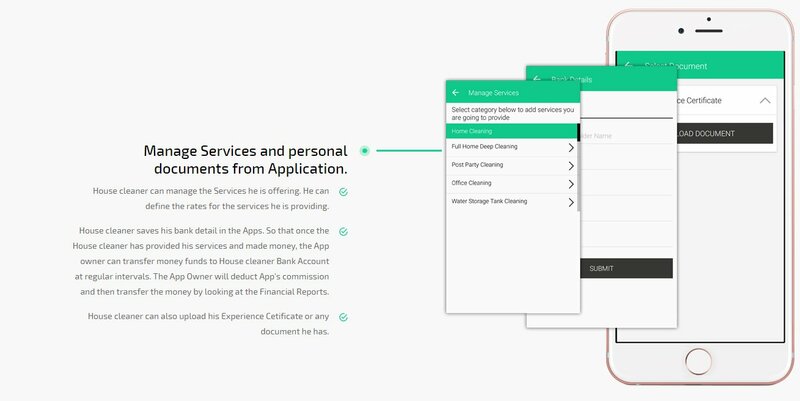 In Gojek clone, We bring to you a User app, a House Cleaner app, an Admin panel and a Website for the app. And all of this at no extra price. We believe in end to end solution. 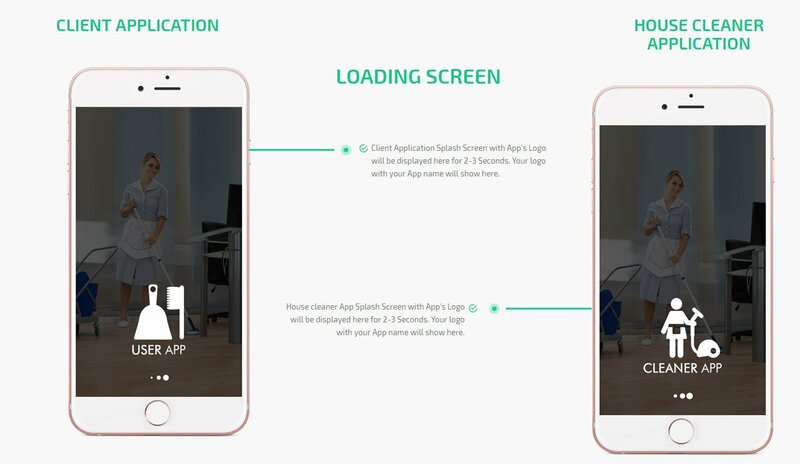 Our team has worked really hard to ensure that this app means nothing but success for you. The potential of the market at the most economic investments. This is why we bring to you the most cost effective options in the entire market. It's now or never!